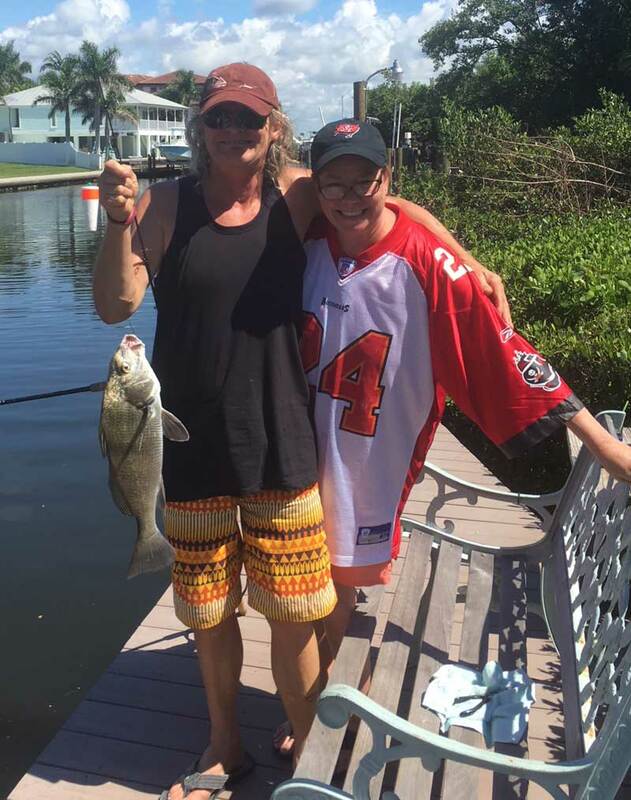 Although red tide is still looming around Anna Maria Island, fishing remains quite good for those determined to catch fish. Fishing to the east, in areas such as the Manatee River and the adjacent bay waters to the north, is producing great action on snook, redfish and spotted seatrout. Mangrove snapper also are quite abundant. Fishing the outgoing tides is proving to be quite good, especially where water flow is maximized — inlets, passes and sharp points that contain oyster bars, turtle grass and structure are big producers. Venturing into the Gulf of Mexico also is a good option, but be ready to run long distances to find clean water. Make sure the gas tank is full, as you may need to cover quite a bit of ground. 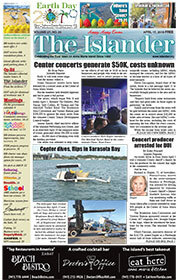 Once there, many species are being caught, including grouper, snapper, permit and amberjack. On my Southernaire fishing charters, I’m finding plenty of action in the backcountry. Concentrating on southern Tampa Bay and the Manatee River is yielding plenty of hookups on catch-and-release snook and redfish for my clients, as well as keeper trout and mangrove snapper for their coolers. Fishing structure is proving to be good for Spanish mackerel. Locating large schools of glass minnows is key to finding this bite. Where the small bait fish exist is also the location for the best fishing. Capt. Aaron Lowman is running offshore to fish ledges and hard bottom in the Gulf of Mexico. Mangrove snapper, hogfish, grouper and porgies are being found in these areas and baiting with live shrimp and shiners is attracting these species. Moving inshore, Lowman is targeting snook, redfish and spotted seatrout. Fishing the flats with live shiners is resulting in hookups of all three species. Lastly, dock fishing with live shiners is yielding mangrove snapper. Capt. Jason Stock is running offshore with good results. 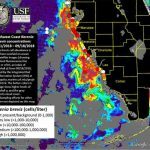 Due to red tide blooms offshore, Stock is running far for clean water. On some days, he’s venturing 15-20 miles to deep water in the Gulf of Mexico. 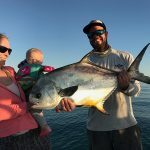 While fishing structure offshore, Stock is putting clients on numerous permit ranging 15-30 pounds. He’s also finding yellowtail and mangrove snapper, amberjack and, of course, goliath grouper. Moving inshore, Stock is in pursuit of schooling redfish. Most catches are over-slot. Snook fishing also is providing action on the flats for Stock’s sport anglers. Jim Malfese at the Rod & Reel Pier is seeing numerous snook and redfish hanging around the pilings of Anna Maria Island’s northernmost pier. Pier fishers using live pinfish and shrimp are finding success. Mangrove snapper also are being caught with some regularity. Casting either a silver spoon or white jig from the pier is resulting in an occasional hookup with a jack crevalle. Lastly, black drum are taking refuge under the pier and can be caught by dropping a live shrimp among the pilings.